Mobile phones have become the future of personal computing. We do everything in mobile phones, including browsing Facebook. Normally, we browse Facebook in mobile devices using the official Facebook app. There are alternatives to this official Facebook app, but we happen to prefer the official version. This app is also one of the most popular one in the Play Store which is not developed by Google, the company behind Android. But the thing about mobile phones and their apps is that while they have the normal functionality, it is kind of confusing to do some tasks in them. Recently, I found myself scratching my head when I had to untag myself from a few pictures in Facebook. I was using my Android phone at that moment and I had to search for a while before I found the untagging option in the Facebook App. 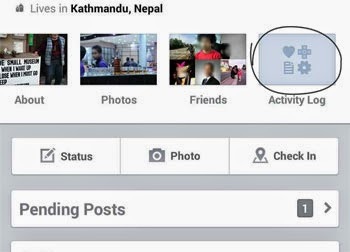 There are actually two methods to untag from pictures in Facebook app. Both these methods work for Facebook app in Android as well as Apple iPhone/iPads (iOS based). Using your Facebook app, open the picture that you have been tagged in. Make sure that you've opened the picture in full screen mode. You will see four buttons in the bottom of the screen. Those are for liking, commenting and tagging people. Surprisingly, you do not untag yourself using the tag button. It is only useful for tagging new people to the picture. The fourth button which looks like three dots placed vertically is the one that you should press. After pressing it, you will come across several options. 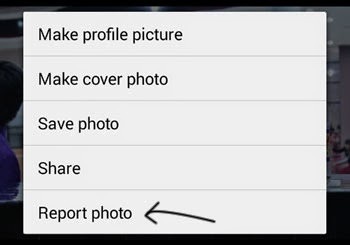 In the list of options, you will find “Report Photo”. Click on it as it is not just for reporting disturbing pictures. In the next screen, check the option that says “I want to untag myself” and then click on “Continue”. You're done tagging yourself from that particular Facebook picture. Using Facebook app for mobile, click on your name to open your profile page. Just below your profile picture and basic information, you will see links to your About, Photos, Friends etc. In that swipe and reach the option that says “Activity Log”. Click on it. From your recent activity page, find the picture or post that you would like to be untagged from. You can click on the links to see a detail version of pictures or posts. You need to click on posts where you've been tagged in and not on posts where you have commented or liked. After you've found out from where you'd like to be untagged from, click on the downward facing arrow that will display you options. Click on the option that says Report/Remove Tag. In the next screen check option that says “I want to untag myself” and hit continue. You're done.